Dr. (Col) MS Sandhu was the Senior Consultant (Hon’y) - Interventional Cardiology at Batra Hospital and Medical Research Center, New Delhi before joining Artemis. He had a distinguished career in the Army Medical Corps and was last posted as Senior Adviser (Medicine and Cardiology) at Base Hospital, Delhi Cantt and was also holding appointment of Addl. Professor of Medicine and Cardiology at Army College of Medical Sciences, Delhi Cantt. He has been actively involved in teaching postgraduate students in Medicine and Cardiology and has also been a Principal Investigator in Research projects of Department of Biotechnology, Ministry of Science and Technology, Govt. of India and Armed Forces Medical Research Committee. 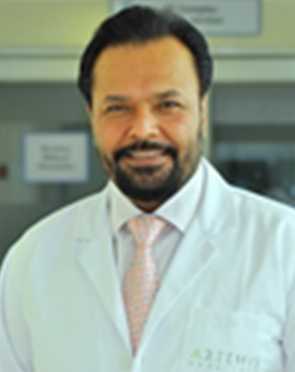 He has had the honor of being the accompanying Cardiologist to The President of India on tours. Dr. Sandhu performs 21 different procedures. Click on a procedure name to see more details and to view doctors for that specialty. 4.7 average based on 58 reviews.